A more accurate, but less ‘catchy’, main title would have been Evolution, Games, Morality, and the Evolution of Religion. 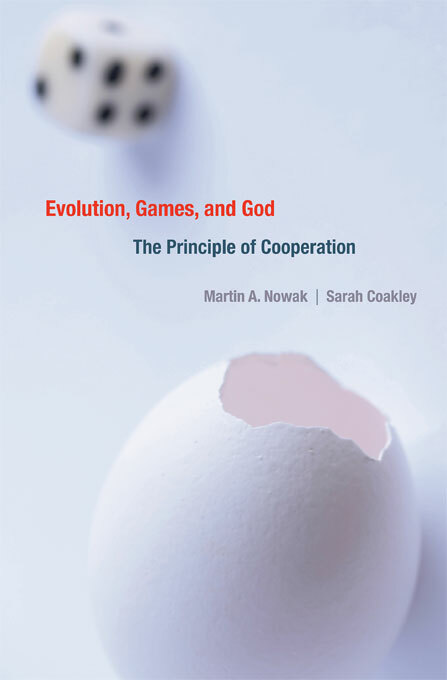 Readers whose main focus is on the evolution of morality and its secular ethical implications, as is mine, can be assured that the papers in the sections on Evolution, Games, and Morality stand on their own just fine. I found Evolution, Games, and God highly useful and was delighted to better understand the various, sometimes conflicting, positions presented. In that spirit, I would like to add some disagreements of my own about definitions and approaches. Perhaps some readers will find them useful. We are told in the introduction that “Cooperation is a form of working together in which one individual pays a cost (in terms of fitness, whether genetic or cultural) and another gains a benefit as a result.” Also, “Altruism is a form of (costly) cooperation in which an individual is motivated by good will or love for another (or others).” Both can be problematic in evolution of morality discussions. The cooperation definition is more accurately called “costly cooperation”. Other forms of cooperation, such as mutualism and coordination in which no one necessarily pays a cost, may have nothing to do with morality and leaving them out of the definition of “cooperation” can be confusing. The definition “Altruism is a form of (costly) cooperation in which an individual is motivated by good will or love for another (or others)” can be understood to imply nonsensical conclusions such as: “It is impossible to act altruistically according to ‘Do to others as you would have them do to you’ if you expect consistently doing so will be in your best interests over your lifetime.” Such problems could be avoided by a definition such as “Altruism is a form of costly cooperation in which an individual acts without consideration of future benefits”. I see this definition as much better tailored for science of morality discussions. It also conveniently collapses to biological altruism (and is applicable to all organisms) when cooperation costs and benefits are only reproductive fitness while still being consistent with the common cultural meaning of altruism, psychological altruism, when applied to humans. Also, Evolution, Games, and God may leave the false impression that the ultimate sources of our moral intuitions and cultural moralities are found in species dependent biological evolution and game theory. These sometimes claimed ultimate sources are at least one causal level too low. Costly cooperation strategies solve a cross-species universal dilemma: how to obtain the often large benefits of cooperation in groups without being exploited. This dilemma is inherent in our physical reality, independent of any biology or mathematics, and therefore is morality’s actual ultimate source. Moral behaviors, such as those motivated by empathy and advocated by enforced cultural moral norms, are most revealingly understood as just different solutions to this universal dilemma. I would have liked to have seen a thorough discussion of the necessary and central role of punishment in maintaining costly cooperation strategies (including direct and indirect reciprocity as the game theorist Herb Gintis likes to point out). Such a discussion would make it much easier to understand the common selection force (benefits from cooperation in groups) responsible for 1) the evolution of guilt (which provides efficient internal punishment for moral violations), 2) indignation (provides motivation to punish other’s bad behavior), 3) cultural moral codes (when internalized, violations trigger guilt and synchronized group indignation), 4) religion (supernatural detection and punishment of bad behavior), and 5) rule of law (formally organized and authorized community detection and punishment of standardized definitions of bad behavior). The book’s moral philosophy papers largely focus on how the science of morality enables us to better understand moral intuitions which are arguably the grounding basis for much of moral philosophy. The subject is explored essentially as “Do insights about moral intuitions from the science of morality strengthen a particular moral philosophy claim in terms of ultimate ‘ends’ or duties?” Fine, but these subtle and debatable arguments about ultimate ‘ends’ and duties may, like all such arguments in moral philosophy to date, have no ultimate resolution. I found it curious that there was no discussion of the simplest and most obvious means of making the science of morality culturally useful. Perhaps it was considered too obvious to point out that the science of morality can reveal the best strategies for increasing the benefits of cooperation in groups (the evolutionary function of morality). Then, regardless of what ‘moral’ ultimate goals or ends groups have (which science is silent about), the science of morality can inform us what moral ‘means’ in terms of enforced moral codes are most likely to achieve these ‘ends’ by the single, specific means of increasing the benefits of cooperation. These comments focus on my disagreements with the text. But disagreements are fully consistent with the book’s goals. Those goals were to coherently present well-informed positions in the field to prompt discussions and “to serve as a platform for debate.” And this book does that very well.